Every year the International Semantic Web Conference (ISWC) is the main destination for many researchers in the Semantic Web community. 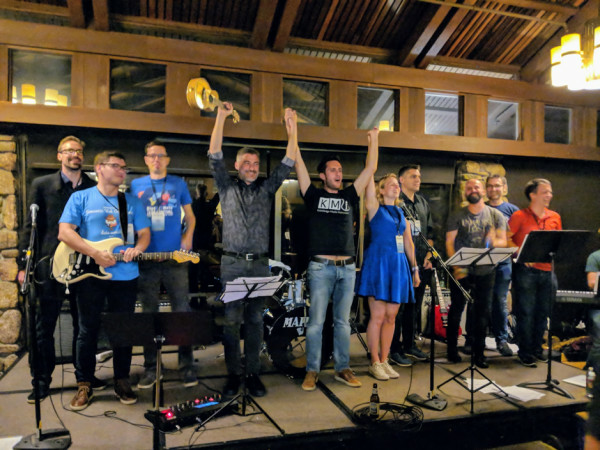 The 17th edition of the conference was held last week at the Asilomar Conference Grounds in Monterey, California, and it hosted around 500 researchers coming from all around the world. 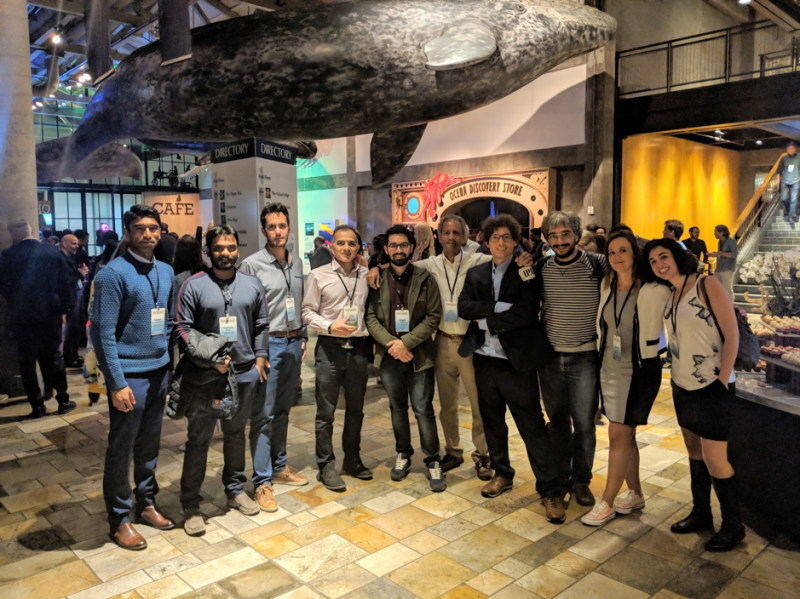 Many KMiers including John Domingue, Harith Alani, Miriam Fernandez, Francesco Osborne, Andrea Mannocci, Angelo Salatino, Prashant Khare, Thiviyan Thanapalasingam, and Zeeshan Jan took part in the conference this year. Harith co-authored a research track and a workshop paper. Also, Harith chaired the Entitiy Recognition and Linking session that saw some really interesting works in the research and resource track of the conference. Miriam presented a paper “Contextual Semantics for Radicalisation Detection on Twitter” at the Semantic Web for Social Good workshop. Miriam was also involved in the Ada Lovelace Day Celebration, in which saw more than 135 attendees. This event is an international celebration of the achievements of women in science, technology, engineering and math (STEM). In particular, it aims to increase the profile of women in STEM and, in doing so, create new role models who will encourage more girls into STEM careers and support women already working in STEM. In her role as panelist, Miriam was discussing Athena Swan, the initiative she is currently leading within the KMi. In the Research track, Francesco and Prashant presented their respective works. Francesco presented “Pragmatic Ontology Evolution: Reconciling User Requirements and Application Performance”. While, Prashant presented “Cross-Lingual Classification of Crisis Data”. In the Resource track, Angelo presented “The Computer Science Ontology: A Large-Scale Taxonomy of Research Areas”. In the In-Use track, Thiviyan presented “Ontology-Based Recommendation of Editorial Products”. Zeeshan presented his work “Recognition and Reward System for Peer-Reviewers” at the Doctoral Consortium. All of these works were well received by the community and there was a generous follow up by the interested researchers on many of the papers presented by the KMiers. Beside presenting their work, KMi members participated in other conference activities. Andrea, an exceptional electric guitarist and member of the Knowledge Media Instruments, took part in the legendary Jam session. 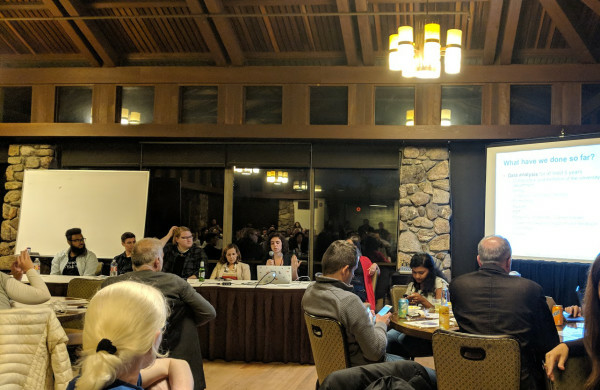 Prior to the conference, Thiviyan completed the 98-mile ISWC bike ride challenge, which started from Santa Teresa County Park, San Jose, and finished at the Asilomar Conference Grounds in Monterey. The conference dinner was organised at the well-known Monterey Bay Aquarium. The attendees had a good time enjoying the amazing sights of the sea-life. The dinner was followed by music and dance. The next edition of ISWC will be held in the beautiful Auckland (NZ). We all look forward to meeting again this large community next year.